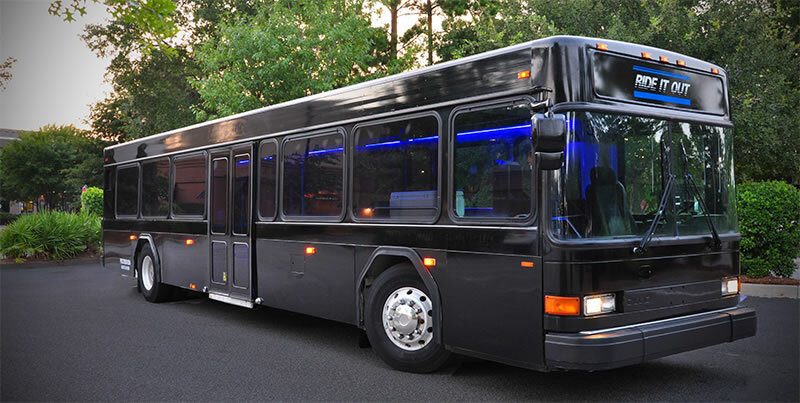 Experience the fun and excitement of Charleston in our luxury RIO Event Bus! Celebrate in style and total comfort while enjoying your special occasion or event. 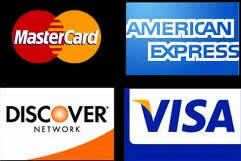 Ride It Out (RIO) offers a suite of luxury party transportation buses/vehicles from mild to wild. Choose between our discreet private cars, SUV’s and the ultra plush RIO Event Buses and coach buses that seat up to 14 passengers! • Great for Bachelor/ette parties and equipped for pole dancing! • Luxury Seating & Room to Have Fun! • Perfect for ball game tailgate parties! We’ll take your group up to Columbia or Clemson to have a great time and bring you home happy! No matter what event you and your guests are going to celebrate, Ride It Out is ready to make it one you and your friends will remember. 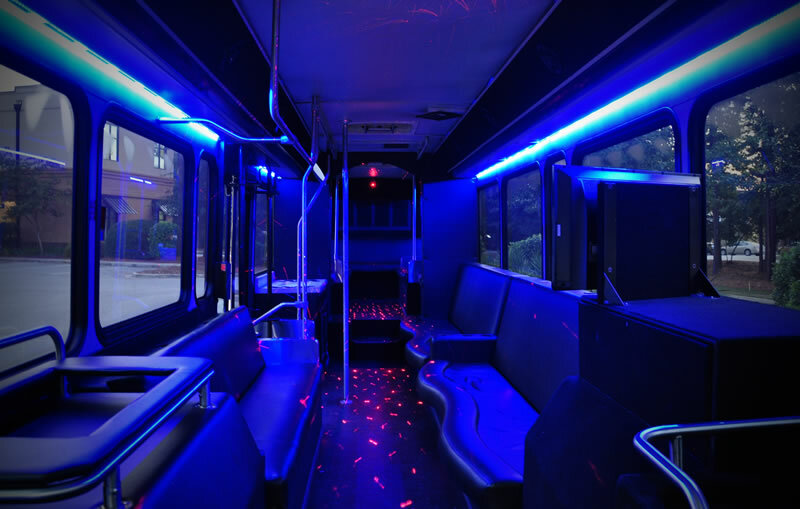 Experience the lights, music, video, action and comfort while being transported to and from your destination in V.I.P. celebrity style! Our vehicles always arrive clean, our drivers safe and courteous and happy to help make your night on the town or other event outstanding. Getting people to their destinations for fun celebrations is our business and we love our work!